The GM Shreveport Assembly and Stamping Plant in Caddo Parish, La., once happily churned out Chevrolet Colorado and GMC Canyon trucks. Then the Carpocalypse hit and General Motors went bankrupt, causing them to give up the facility as part of their reorganization. But a small startup car company announced today that it will attempt to breathe new life into the plant. Elio Motors, a maker of small, supposedly ultra-efficient three-wheel vehicles, will purchase the plant from the trust responsible for selling old GM properties, according to the Detroit Free Press. They say production will begin in 2014. This is potentially great news for Louisiana residents, as Elio says they plan to hire some 1,500 new workers. That community was hit hard by layoffs at the plant when GM was going through its financial struggles. The thing is, I'm concerned that this is just vaporware. Elio Motors' website is pretty light in the specs department. It doesn't even say what kind of engine it will have or where it will come from. They only say it will get 84 mpg on the highway, cost $6,800, and be very fun to drive with a full three-year warranty. There is, however, a page that lists all the cool colors it comes in. In 2010, they eyed a former Pontiac plant in Michigan for their factory, but it doesn't look like that deal happened. 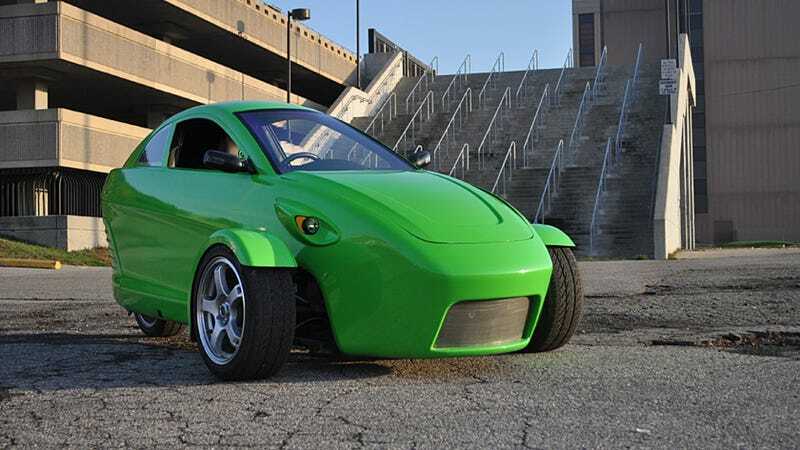 To secure the deal, Louisiana offered a package of tax breaks to Elio Motors that includes a payroll rebate of 13 percent for the first 10 years of plant operations. The state economic development department didn't immediately provide an estimate of what such a tax break could cost, but it could reach millions annually if all 1,500 jobs are eligible for the rebate. "After the loss of GM, we made a commitment to the people of northwest Louisiana that we would not only pursue possible alternative uses for the old GM facility, but we would also aggressively pursue new projects in the region that would create new job opportunities," Gov. Bobby Jindal said in a statement. That story also notes that a similar startup effort in Louisiana fell through a few years ago under very similar circumstances. And in 2009, Automotive News reported that Congress voted to make startup car companies like Elio Motors eligible for federal funding. The story that ran in The Oakland Press said in 2010 that they filed a $260 million grant application with the Department of Energy. I haven't yet been able to determine whether they got it or not. I'm skeptical, but we'll see what happens in the next few months.